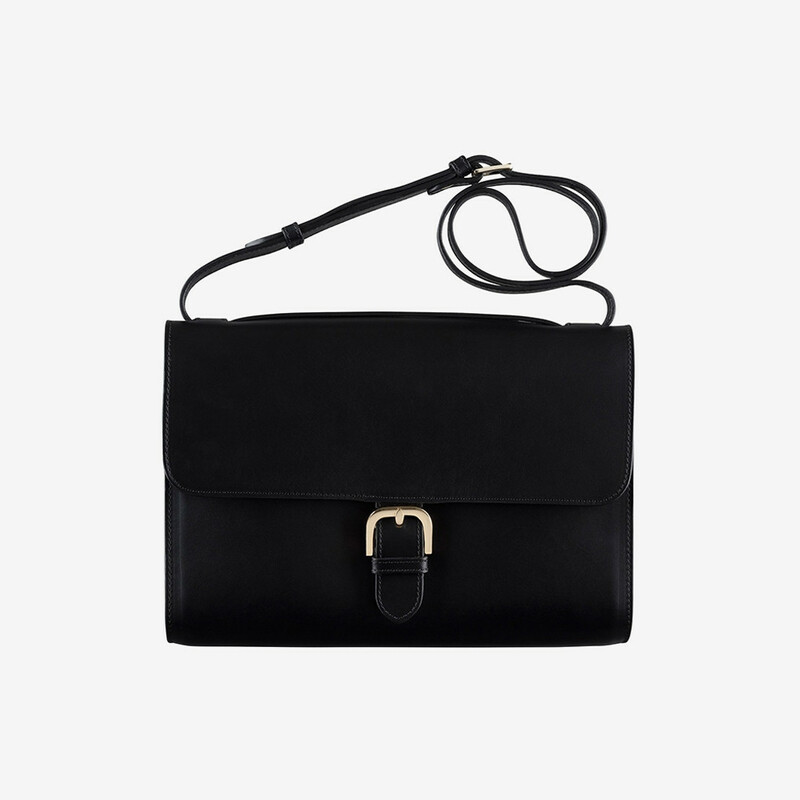 Katy saddle bag from A.P.C. 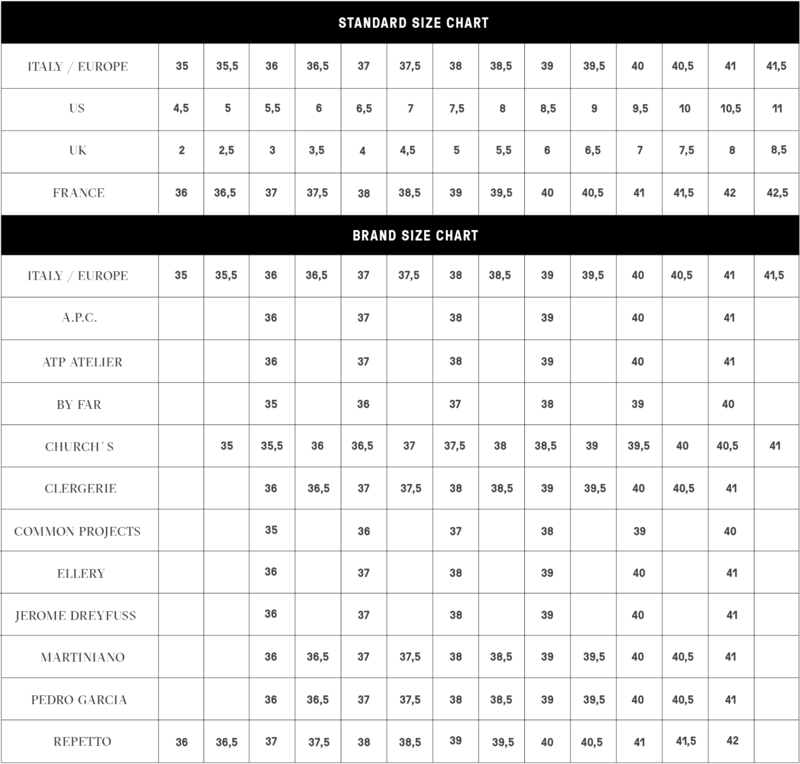 is made from smooth vegetable tanned Spanish leather. This kind of high-quality leather will develop beautiful natural patina over time. Sturdy nature of leather builds a luxurious staple appeal to this classic bag. 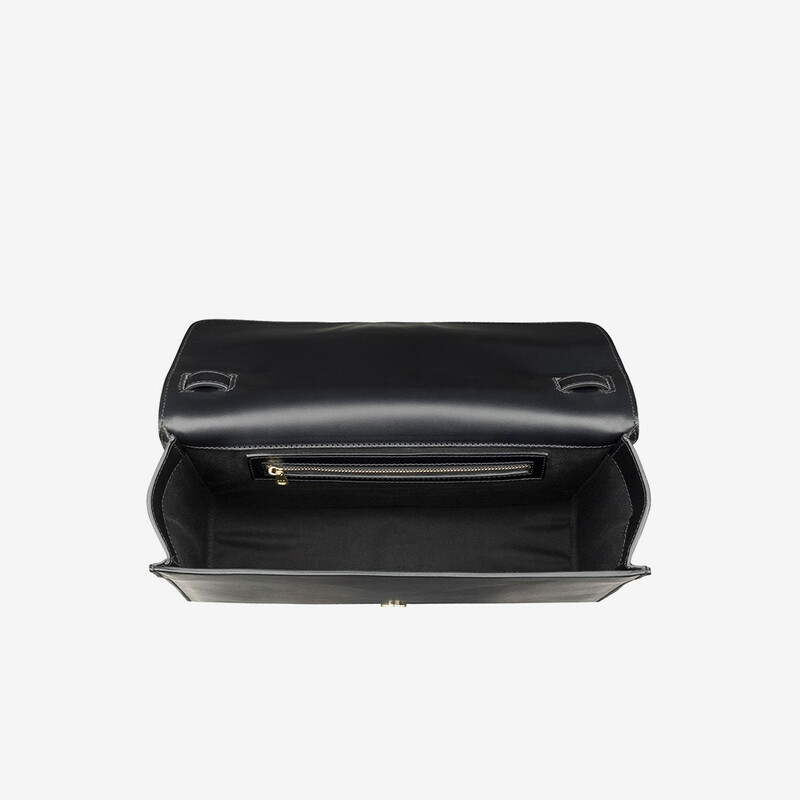 Size is slightly bigger than in usual saddle bags thus creating an interesting entity and offering some extra place for your daily belongings. This model features a external pocket and one internal pocket with zipper closure. Magnetic flap closure for easy opening and closing. Rounded bottom and top stitch. Read more.. This model features a external pocket and one internal pocket with zipper closure. Magnetic flap closure for easy opening and closing. Rounded bottom and top stitches along the edges. Lining is made from cotton blend fabric in matching colour. Shoulder strap adjusts with metal roller buckle and keepers. May be carried on the shoulder or across the chest. The strap is detachable thus offering possibility to carrie the bag by hand as a clutch as well. 1 x Katy Saddle Bag Black was added to your shopping bag. 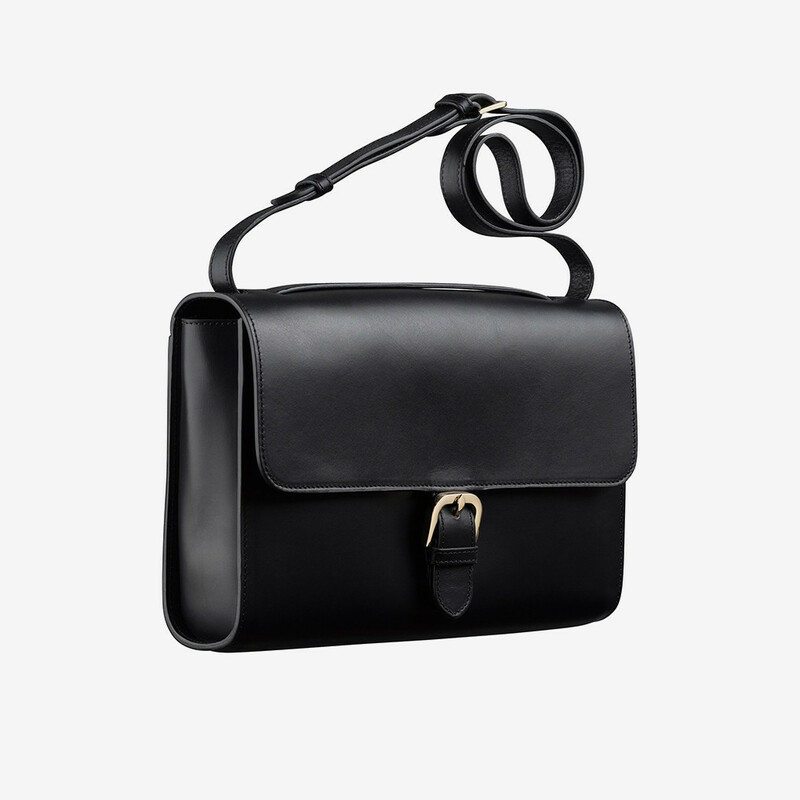 1 x Katy Saddle Bag Black was added to your wishlist.